Matt Tierney is a certified Nurse Practitioner on the national level in both Adult Primary Care and Psychiatry-Mental Health; he is also licensed by the state of California as a Psychiatric Clinical Nurse Specialist. Matt received a Master of Science degree in Nursing from the University of California San Francisco, and has over 14 years experience in health care. His experience ranges from outpatient acute and urgent care, to hospital-based and other residential medically-managed substance abuse care, to intensive outpatient treatment for clients with co-occurring substance abuse disorders and mental health disorders. Matt’s approach to patient-centered care is based on a strong foundation in the biological, medical, and nursing sciences. As a health care provider, Matt works with patients to understand their health goals and values. He has extensive experience in supportive therapies, including Motivational Interviewing, and works closely with clients and other team members at Gateway Psychiatric Services to design a health care plan that is patient-centered and inclusive of evidence-based practices. As such, patient education and empowerment are the heart of his treatment approach. In addition to work at Gateway, Mr. Tierney is faculty at the UCSF School of Nursing. 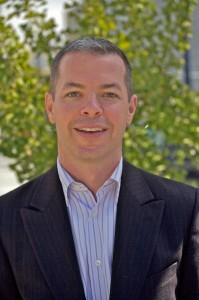 He is the administrative director of two outpatient programs that are part of San Francisco General Hospital’s Department of Psychiatry in the Division of Substance Abuse and Addiction Medicine, including director of San Francisco’s only clinic dedicated solely to opioid replacement therapy via the novel therapeutic medication buprenorphine, where he has worked with over two hundred clients. Matt is a member of the American Psychiatric Nurses Association, and lectures extensively in San Francisco on Motivational interviewing and best practice treatments for clients with co-occurring substance abuse and mental health disorders. Administrative Director of the Office-Based Buprenorphine Induction Clinic (OBIC). Administrative Director of the Centralized Opiate Placement Evaluation (COPE) Program. Administrative Director and lead clinician for the Addiction Medicine Consultation and Treatment Service (AMCATS). Member of SFGH Medical Substance Abuse Committee. Member of SFGH Alcohol Task Force. Clinical work includes psychiatric assessment and treatment at the SFGH methadone clinic. Clinician at Ozanam Medically Assisted Detoxification Unit, a 20-bed, 21-day residential facility. Psychiatric Nurse Practitioner at residential substance abuse treatment programs. Inpatient psychiatric care, including cultural focus units, forensic psychiatry, and Psychiatric Emergency Services (P.E.S. ), San Francisco’s psychiatric emergency department. Triage and clinical nursing in outpatient acute care unit. Researcher, writer, and editor for “PI Perspective,” a monthly newsletter providing information on standard, alternative, and experimental treatments for HIV/AIDS. “Hotline operator” providing HIV treatment information to callers. California Associations of Social Rehabilitation Agencies, Annual Conference. Forster, P. & Tierney, M. (2004). “Substance Abuse in Patients with Depression and Anxiety.” Journal of the San Francisco Medical Society, 77(5): 20-22. Tierney, M (2003). “Dual diagnosis and you.” In BayMoods, newsletter of the Depression and Bipolar Support Alliance (DBSA), San Francisco, Winter 2003/2004. Tierney, M (2003). “How Carbohydrates May Modulate Mood.” In BayMoods, newsletter of the Depression and Bipolar Support Alliance (DBSA), San Francisco, Summer 2003. Van Castricum Scholarship Recipient, University of California, San Francisco, 1998 & 1999. Hinckley Scholarship for Community Service, First Unitarian Universalist Church of San Francisco, 1998 & 1999.